The recent IPCC report on Climate Change is just another reminder of the importance and urgency to focus our efforts on lowering greenhouse gas emissions. However, equally challenging is the scenario of where a changing climate will continue to impact long after global emissions have been stabilised. Cultural heritage, embracing historic fabric, relict landscapes and marginal ways of life, frequently includes particularly vulnerable places and people. While at-risk heritage needs the attention of adaptation strategists, the sector also has much to offer in return. The possible contribution of cultural heritage to climate change adaptation is in fact acknowledged within the Paris agreement itself. Carrig Conservation, the University of Lincoln and the Irish Green Building Council are now working in close cooperation with the Department of Culture, Heritage and the Gaeltacht (DCHG) to develop Ireland’s first ‘Climate Change Adaptation Sectoral Plan for Built and Archaeological Heritage’. As part of this process, DCHG and its consultant team are hosting a series of Workshops in January 2019 to review the development of the first Climate Change Adaptation Sectoral Plan. On 22nd January, participants are invited to discuss the potential impacts of climate change on Ireland’s built and archaeological heritage, and prioritise short- and long-term adaptation actions needed. The workshop is invitation only and limited to 50 stakeholders from government, local authorities, climate action regional offices, conservation professionals, local heritage and conservation offices, universities, NGOs and representative bodies. This is to ensure the broadest engagement on the development and implementation of the sectoral plan and to maximise the potential for creative input. This workshop is invitation only. If you are interested in attending please contact Marion@igbc.ie. 14h35 Ireland’s Changing Climate – What can we expect? 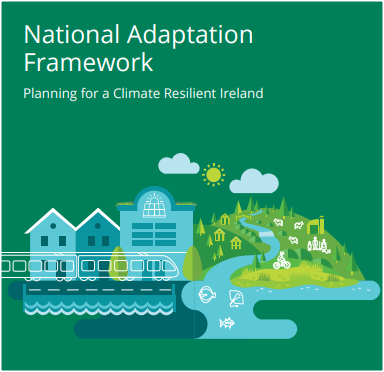 The Department of Communications, Climate Actions and the Environment recently published Ireland’s first statutory National Adaptation Framework (NAF). The document sets out the role 12 key sectors will have in developing climate resilience for Ireland. Under the framework, the Department of Culture, Heritage and the Gaeltacht (DCHG) is required to prepare Ireland’s first ‘Climate Change Adaptation Sectoral Plan for Built and Archaeological Heritage’. 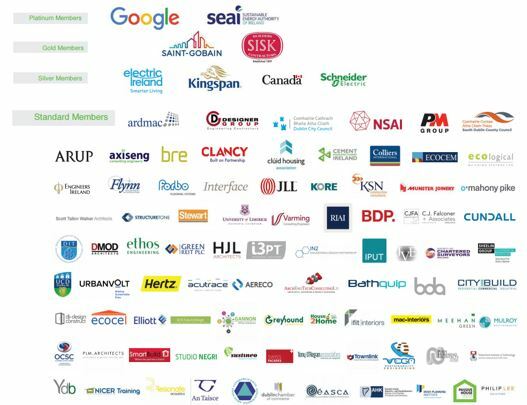 Carrig Conservation, the University of Lincoln and the Irish Green Building Council are now working in close cooperation with DCHG to develop Ireland’s first ‘Climate Change Adaptation Sectoral Plan for Built and Archaeological Heritage’. The final adaptation plan will be circulated widely through a public consultation scheduled for May 2019.